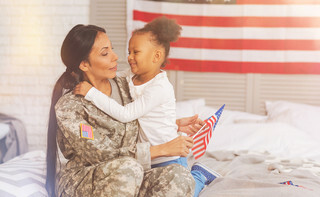 Your best source for commissary coupons and other savings opportunities is the My Home Base Circular, an interactive flyer provided by MyMilitarySavings.com for military shoppers and their families. A link to the document viewer for this set of ads is featured right at the top of our site for easy navigation so that you can check it quickly right in your browser before your next trip to the commissary. You can click any item in the document to view additional information about the available coupons and other discounts. Plus, the helpful navigation buttons along the side of the document viewer allow you to print the flyer and take it with you or share it with friends and family on Facebook, Twitter, Pinterest, and more. For more opportunities to save money and make shopping at the commissary even easier, you can sign up for a free account at MyMilitarySavings.com and set the base you’re stationed at on the My Home Base page. That way, you can see up-to-the-minute deals relevant to your location, view maps and other information for your local commissary and exchange stores, and even enter to win exciting prizes from sweepstakes and other contests. Our site also includes helpful links to the Defense Commissary Agency (DeCA) website, where you can load coupons directly onto your Rewards Card for easy savings, as well as the sites of the exchange services for all branches of the military. If you’d like to learn more about the fantastic commissary and exchange savings you’ll find through the My Home Base Circular, sign up for your free membership at MyMilitarySavings.com today.